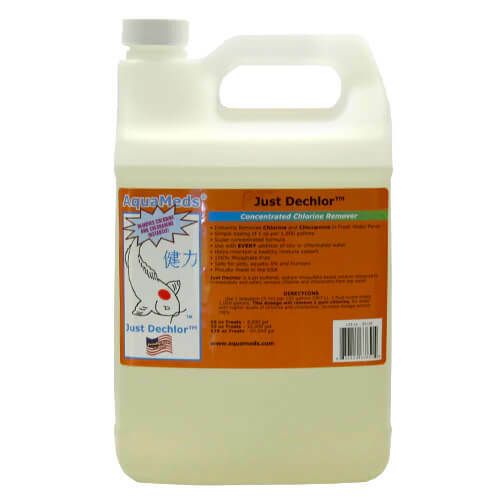 Just Dechlor is a pH buffered, sodium thiosulfate based solution designed to immediately and safely remove chlorine and chloramine from tap water. Directions: Use 1 teaspoon per 150 gallons. 1 fluid ounce treats 1,000 gallons. This dosage will remove 1 ppm chlorine, for water with higher levels of chlorine and chloramine, increase dosage accordingly.